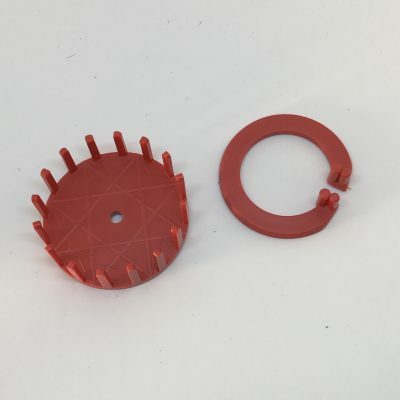 This kit is for Straw Star Kit users with some experience. 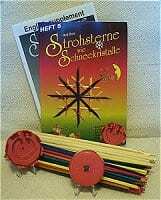 This kit is for Straw Star Kit users with some experience. We highly recommend our The Straw Shop Splitter Set for the versatility this kit can offer. 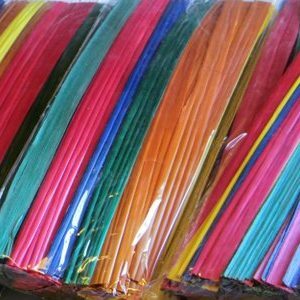 Kit 2 consists of one instruction book with 32 pages, a universal mold with 24 segments, a 2+3 straw splitter, a package of 50 natural wheat stalks and a package of 50 multi-colored straws. 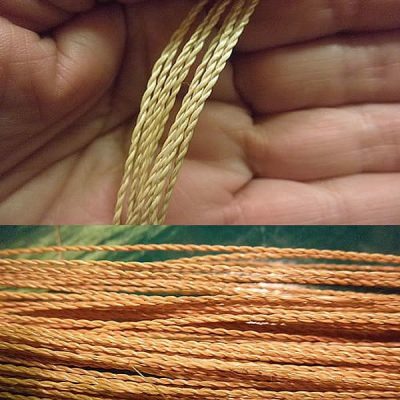 A tying needle with some red thread is also included. The book is in German and an English translation is included. 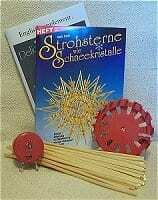 The book describes in detail how to create 12, 24 and 8-pointed stars. This kit’s stars are stunningly intricate. 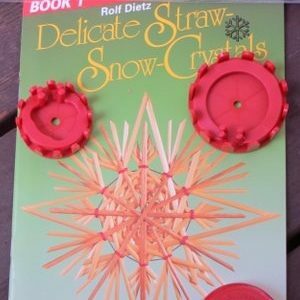 Be sure to see the tutorial video, as a refresher, on our Straw Stars page. The wheat stalks we carry are a different variety than those in the kits. Be sure to have enough! Have you seen the 16 segment star mold?